The IBC, and the RBI’s February 2018 circular, were shocks to the pre-existing credit culture that allowed Indian state to act with impunity. The Reserve Bank of India’s controversial and stringent circular issued on 12 February 2018 required banks to take certain cases of loan default (above Rs 2,000 crore) to the National Company Law Tribunal (NCLT) within a specified time period. The Supreme Court held that the generic directions given in the circular were outside the scope of the RBI’s powers provided under the Banking Regulation Act, 1949. 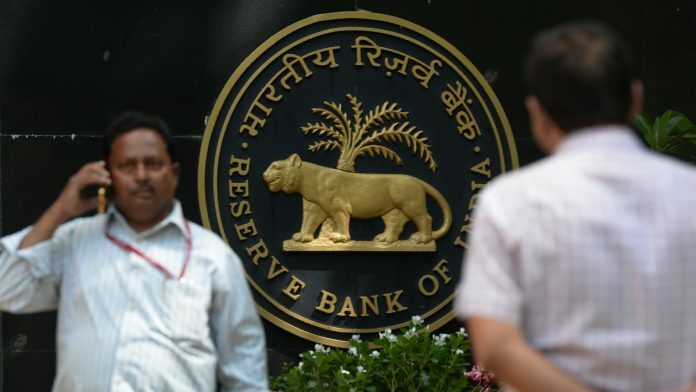 Significantly, the court held that the RBI was required to pass directions regarding specific cases of default only after assessing them on a case-by-case basis, and that the law did not empower the RBI to pass general directions against accounts with non-performing assets (NPAs). From the power companies’ arguments (discussed in the Supreme Court’s judgement) about specific reasons that give rise to the NPAs, what emerges is the extent to which various wings of the state — central, federal, judiciary, and executive — can act as sources of risk and uncertainty for private businesses. The Supreme Court takes note of the report of the Parliamentary Standing Committee on Energy, which stated that policy changes, delays, and failures to make timely payments contributed significantly to the NPA problems in the power sector. The issue of regulatory uncertainty was not as clearly visible before the IBC was enacted. In the old culture of dealing with the government, the price of regulatory delays and uncertainty for economic activities was unclear. An extend and pretend regime allowed not just cronyism to flourish, but also allowed government laxity to continue. Consequently, firms that suffered due to these regulatory delays and uncertainties could in turn make a claim on the government for other forms of assistance, such as the evergreening of loans. While this would ostensibly help private firms that could rely on such generosity, an equal beneficiary was the state. The state could act arbitrarily, change policy decisions, and delay contractual payments — all to the detriment of private economic actors. It could also avoid any direct blame for the failures of firms that did business with it, as long as it could provide timely palliatives. Also read: Now that RBI’s Shaktikanta Das has accepted the slowdown, how can we revive the economy? This behaviour has become increasingly unsustainable, given the growth of private markets, and the government’s dependence on private capital for financing infrastructure in the country. As the Standing Committee’s report notes, in the past decade, the private sector has contributed much more than the public sector to the country’s total power capacity. The IBC, however, is one of the most visibility-enhancing developments with regard to the cost of doing business with the Indian state. Any firm that now becomes unable to pay back its debts could be taken to the NCLT. The subsequent resolution process will provide a clear, measurable indicator of the financial implications for private firms that suffer due to regulatory uncertainty. This will be especially visible in sectors like infrastructure, where interactions with multiple government entities are not just critical, but also mandatory (for licensing requirements, land-related clearances, environmental clearances, cost and tariff regulation, and so on). The IBC, and the subsequent RBI February 2018 circular, were, therefore, shocks to the pre-existing credit culture that allowed the Indian state to act with impunity. Even though the RBI circular has now been struck down, the IBC still remains. While it will be interesting to consider the range of possible options that the RBI could consider in the wake of the Supreme Court’s judgement, it is also critical to consider what the IBC means for the relationship between private enterprises and the Indian government in a broader sense. On the one hand, since the IBC gives creditors significant powers to push a firm into insolvency, the risk appetite for the entry of private firms into sectors like infrastructure may reduce. This is because, under the IBC, a promoter now faces the prospect of losing control over the firm as a price for regulatory uncertainty. However, this is bad for both India (that needs infrastructure development on a massive scale) and private firms (since the Indian state is a significant mobiliser of resources in the country). On the other hand, administrative reform has proven to be a sticky issue. As the power sector’s situation illustrates, regulatory uncertainty is caused by a range of government departments (including electricity discoms) that either do not make decisions on time, or make decisions contrary to legitimate expectations. Reducing regulatory risk will, therefore, require a serious and committed focus on reforming a range of administrative processes across sectoral departments, and also across the central and state government agencies. One possibility is an effort to give up on improving regulatory certainty, and instead attempt to dilute the most stringent requirements of the IBC. This is a real possibility if efforts to reduce regulatory risks fail or are not considered seriously. Promoters and the state will both share some alignment of incentives to reduce the most extreme consequences of the IBC processes for such promoters, and to continue to extend and pretend as long as possible. Doing so would allow promoters more breathing room when under the IBC, while also taking some pressure off the urgency of administrative reform. Such a move would, of course, significantly impair the fight against cronyism and the move towards a more efficient system of allocating capital within the economy. If the new and incipient credit culture forced by the IBC is to be maintained, it is important to continue to expand the focus on issues of administrative efficiency, regulatory certainty, and stability — all of which have become increasingly difficult to ignore in the post-IBC era. The author is a Senior Research Analyst of the political economy program at Carnegie India. Views are personal.